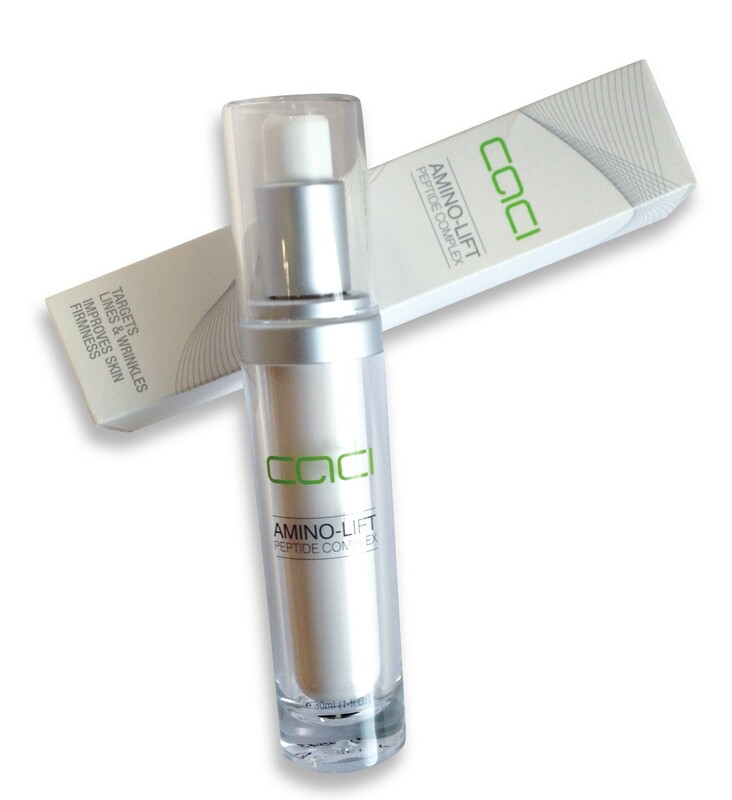 CACI Amino Lift Peptide Complex is an effective anti-ageing skin care serum contains powerful peptides, essential oils and amino acids that target expression lines and help to firm sagging skin. After just 28 days of usage, Amino-Lift Peptide Complex can significantly reduce expression lines and wrinkles and help to lift and define facial contours. Combining clinically effective amino acids and peptides with powerful essential oils, Amino-Lift Peptide Complex utilizes Matrixyl 3000 which lifts and firms the skin helping to stabilize cell membranes and to protect them from free radical damage, and Minoxinol that inhibits the mechanical factor responsible for the formation of expression lines. It is recommended for use after the CACI Microlift treatment, to enhancethe anti-ageing effect. Tip To enhance your CACI Microlift results apply CACI Amino Lift Peptide Complex to each targeted treatment area before commencing the Wrinkle Program . Use the Eraser technique to help absorption and increase the wrinkle softening action of the CACI Amino Lift Peptide Complex.